Eddie Brock was once a journalist, investigating the serial killer Sin-Eater. 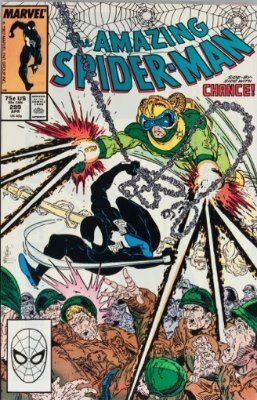 However, when Spider-Man captures the real Sin-Eater, Eddie is humiliated and loses his job and wife. Seeking guidance, Eddie goes to a church where the Symbiote is waiting for its next victim. Becoming bonded with the Symbiote, Eddie is transformed into Venom, the evil counterpart of Spider-Man. Over the years, Eddie and Spider-Man battle, but they also team up to fight Carnage. Eddie is incarcerated several times, but always escapes with the help of the Symbiote. Later, Eddie becomes Anti-Venom, a vigilante anti-hero who fights crime, but is mentally unstable. Not much is known about Effron the Sorcerer, except that he battled against Superman using his army of soulless, faceless puppets. Effron comes from the magic kingdom of Veliathan. Electro was a robot with superhuman strength and semi-super speed who was built by (and under the telepathic control of) a scientist named Philo Zog. Zog was a member of a group of 12 mysterious men known as The Secret Operatives. 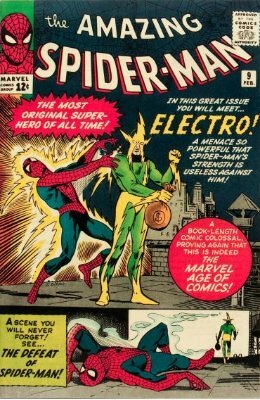 Electro didn't last long in his original incarnation, and as Timely became Atlas and then Marvel, the name Electro was used for several other villains, until the Spider-Man adversary by that name took permanent possession of it in the early 1960s. One day, while Maxwell Dillon was repairing a power line, he is struck by lightning, imbuing him with the ability to manipulate electricity and the power to fly. Magneto was so impressed with Dillon's powers that he attempted to recruit him into his Brotherhood of Evil Mutants. Dillon later goes on to join the Secret Six with Dr. Octopus, and the Hood's crime syndicate. Electro is one of Spider-Man's most enduring and oldest foes and the two have battled on dozens of occasions. Electro is also a foe of the Avengers, and the villain in the upcoming Amazing Spider-Man 2 movie. 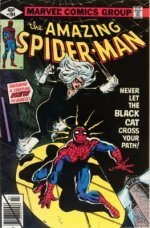 Click to see our Amazing Spider-Man comic book price guide. Electrocutioner has been embodied by three different people, with the most notorious being Lester Buchinsky. Using his ability to manipulate electricity, Buchinsky used his powers to fuel a life of crime. 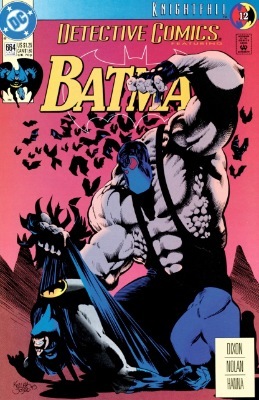 Over the years, Electrocutioner is defeated by Batman, Robin, Nightwing, and Green Arrow. Later, Electrocutioner is beat into a coma. 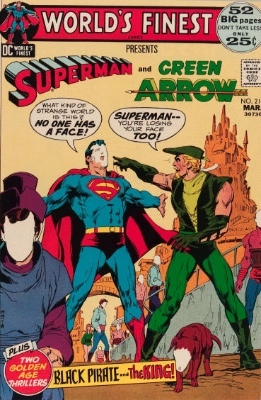 When he finally wakes up, he is killed by Roy Harper (Red Arrow / Speedy). Elektra is a female assassin, wielding two deadly sai. 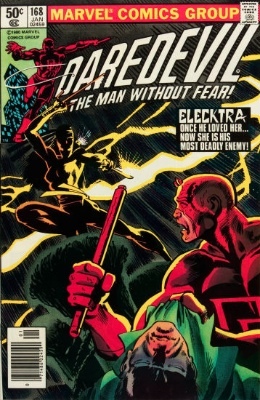 Elektra first met Daredevil when she was assigned to assassinate him by the criminal lord Kingpin. However, Daredevil stops her and they begin a brief romantic relationship. Later, after her death by Bullseye, she is resurrected by Stone, who somehow purged the part of her. 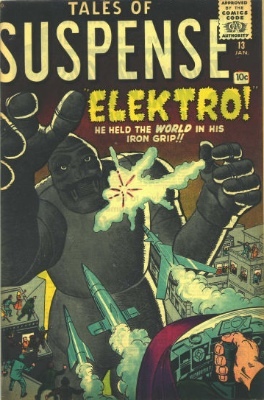 Elektro started out as a supercomputer that somehow became self-aware and independent, forcing its creator, Dr. Poole, to make a body for it to use. Equipped with powerful weapons, the robot decides to destory mankind in an attempt to rule the world. 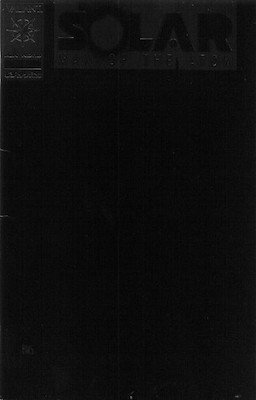 However, Dr. Poole is able to deactivate Elektro, stopping the destruction. Later, Mr. Fantastic reprograms Elektro to be peaceful, allowing him to live and work in society. 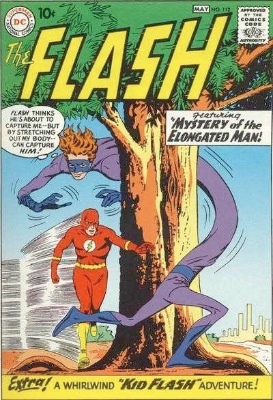 Ralph Dibny was a teenager who was fascinated by contortionists and their body-bending abilities. Learning that they all consumed a soft drink that contained an ingredient from a rare Central American "gingo" fruit, he developed a concentrated extract of gingo and used it to give himself powers of super elasticity. 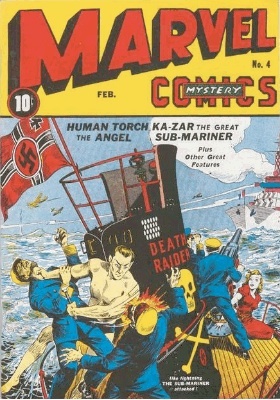 He costumed himself in red and blue, without a mask, and used his powers to solve mysteries. He could stretch his body almost infinitely, and change its shape, similar to Plastic Man's powers. Later, he joined the Justice League of America. Enchantress is a beautiful Asgardian, who specializes in seducing and controlling men. 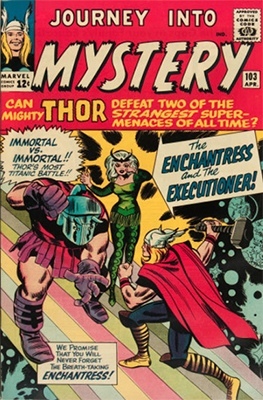 She is originally sent by Odin to seduce and distract Thor, but is exiled to Earth where she often battles against the Avengers. However, on occasion, she has used her powers for good. As a member of the Asgardian race, Enchantress possesses superhuman strength, speed, stamina, durability, and the ability to manipulate magical energy. Equus is a cyborg created by the OMAC Project and fights against Superman during the For Tomorrow storyline. 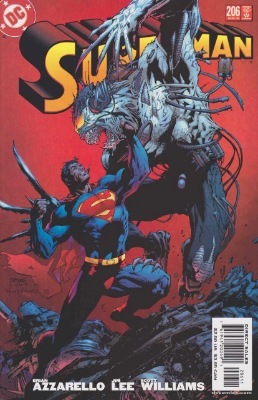 Unlike most other weapons, Equus' razor sharp claws can pierce Superman's skin. Equus works for both General Nox and Mr. Orr, who orchestrate the vanishing of over one million people, including Lois Lane. Eternal Warrior is Gilad Anni-Padda, one of three immortal brothers who have served the Geomancers (a lineage of men and women chosen to defend the earth by the earth itself) since his birth in 3268 BC. 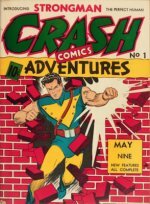 He made his first appearance in Solar: Man of the Atom #10, in an appearance illustrated by legendary artist Barry Windsor-Smith, before spinning off into his own series. Aside from immortality, his powers include super-strength, the ability to heal and regenerate after almost any wound or injury, and thousands of years worth of fighting skills. Ernest "Ernie" Fairchild was an abused child who could predict the future in his drawings. As time goes on and the abuse by his parents grows worse, he develops other powers, such as telepathy. Ernie is later contacted by Lady Death who orders him to kill every person on Earth. 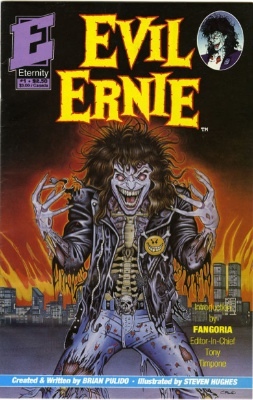 However, when Ernie is killed by an explosion, Lady Death reanimates him as an evil, nearly immortal zombie. 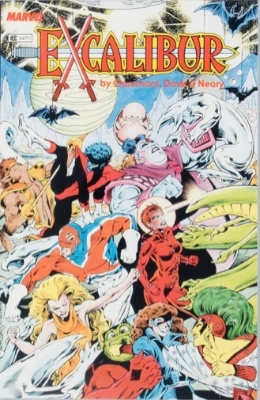 Excalibur is a United Kingdom spin-off of the X-Men based on Captain Britain, his super-powered girlfriend Meggan, and a rotating cast of X-Men veterans, including at times Nightcrawler, Colossus, and Dazzler, among many others. The team functions as the only super-team in Europe, and represents the first time that Marvel's UK division and US division were merged. Skurge, better known as Executioner, is an Asgardian assassin and Enchantress' partner. Together, they often work towards defeating Thor, or turning him evil. Over the years, Executioner battled against the Fantastic Four and the Avengers. Later, the armies of Hela killed him and his spirit was trapped in Hel for many years. The exemplars are a team of super humans, made up of Bedlam, Carnivore, Conquest, Decay, Inferno, Juggernaut, Stonecutter, and Tempest. 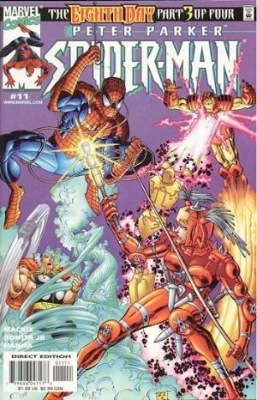 Each member found their power through relics left by the Octessence, mostly using their powers for evil, battling the Avengers and the X-Men. 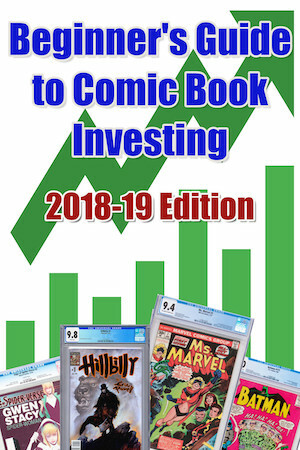 Get Your Comics Valued FREE by Sell My Comic Books!